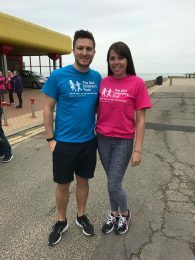 On Sunday 13th May Jessica Hewett, Legal Secretary in the Thompson Smith and Puxon Commercial Property team, took part in a sponsored walk from Walton Pier to Clacton Pier. The event was organised in memory of Seren Bessie Picken, the daughter of one of Jessica’s friends, who sadly died in December 2017, aged 12 weeks, after suffering from a rare mitochondrial disorder. Seren was admitted to Addenbrooke’s Hospital for treatment and during this time her parents stayed in Acorn House, free accommodation near to the hospital, provided by The Sick Children’s Trust. This meant they were close to the hospital at all times and in particular did not have to worry about the cost of accommodation. The sponsored walk was organised by Seren’s parents to raise money for The Sick Children’s Trust so that other parents can receive the same support that they had. 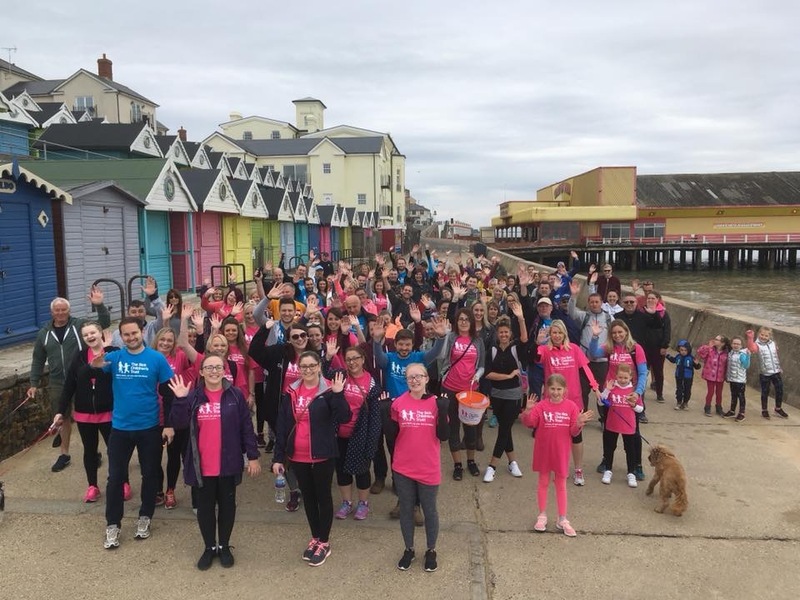 The sponsored walk, which covered 7 miles, started at Walton Pier and finished at Clacton Pier. Over 100 people took part. So far Seren’s family have raised over £8,500 for The Sick Children’s Trust through fundraising activities and their aim is to raise £11,000 in total which would cover the cost of a family room for a year. Thompson Smith and Puxon was pleased to be able to support Jessica and her friends. To make a donation you can visit the Just Giving page here. The Sick Children’s Trust aims to provide free, high quality ‘home from home’ accommodation for families with seriously ill children in hospital, along with emotional and practical support. The properties are located within a short distance from hospitals to allow parents to be nearby at all times. You can find out more about the charity here.